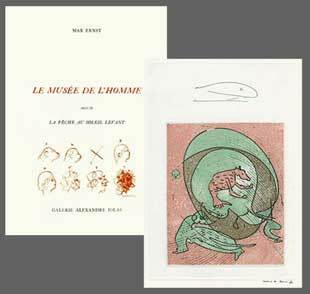 Here are the original prints handsigned (etching and lithograph) by Max Ernst that are presently for sale. Click on the image to enlarge it. 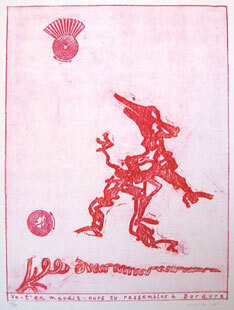 Max Ernst was born in 1881 in Cologne, where he spent his childhood and adolescence. Aged 20 he studied litterature at Bonn University ; in 1914 he met Hans Arp, and was then called up in the artillery. In 1918, he married Luise Straub, his boyhood girl-friend. The following year, he met Gala and Paul Eluard, and toured the Tyrol with Hans Arp, Sophie Taeuber and Tristan Tzara. He showed at the Salon des Indépendants in Paris in 1923, and decorated the Eluards' house near Paris with murals ; the following year he travelled with them to the Far-East. 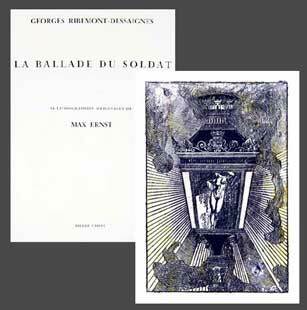 Until the early thirties, Ernst painted landscapes ; he also published "La femme au cent têtes", a collage - novel. In 1927 he married again. 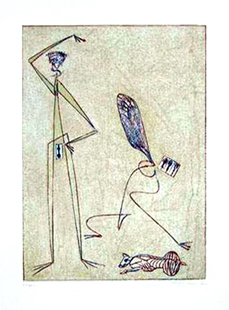 He first show was held in New-York in 1931, and a few years later he took part in the "Fantastic Art, Dada, Surrealism" show at the Modern Art Museum, again in New-York. He moved to the U.S. in 1941 ; in 1943 he met Dorothea Tanning and together they toured Arizona where they settled after getting married. In the early fifties, he travelled to Europe and his first retrospective exhibition was held in his native town, Cologne. 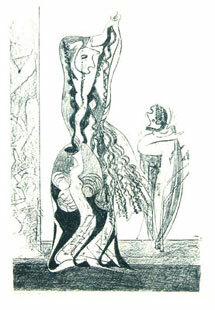 In 1953, he settled in Paris ; in 1954 he was awarded the prize for painting at the Venice Biennale. In 1962 the Tate Gallery held a big retrospective show of his work. Numerous shows followed throughout Europe and the world for his paintings as well as for his prints. 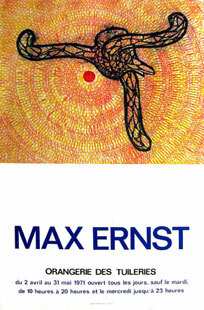 Max Ernst died in Paris in 1976, the day before his 85th birthday.